22 | December | 2010 | Watts Up With That? December 22, 2010 in Announcements. In a recent discussion in comments regarding the AO (Arctic Oscillation), this subject was brought up by R. Gates (IIRC) I thought I would make it prime time for the educational value it offers. December 22, 2010 in Educational opportunity. December 22, 2010 in Cosmic rays. Who will it be? It is likely to happen in the next 12-24 hours. December 22, 2010 in Fun_stuff. NOTE: The image below is NOT sea ice thickness, but ocean topography. Radar data from the European satellite has been used to make a map of ocean circulation across the Arctic basin. Cryosat’s primary mission is to measure sea-ice thickness, which has been in sharp decline in recent decades. December 22, 2010 in Space, Technology. December 22, 2010 in Forecasting, Government idiocy. 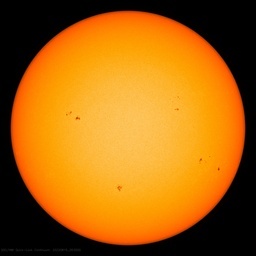 December 22, 2010 in Science, Solar, Space.